We do not ship direct internationally, due to the recent rise in different countries, rules, regulations, duties & taxes being charged to buyers and sellers as well as the complex customs rules and regulations for each individual country. 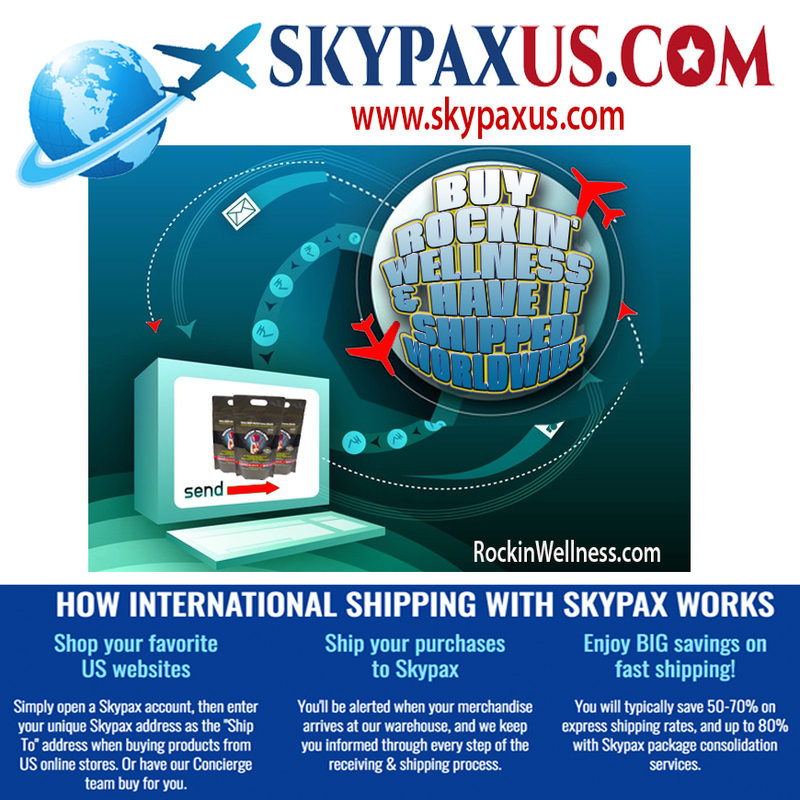 Rockin' Wellness recommends working with a 3rd party company such as www.SkyPaxUS.com to handle order fulfillment outside of the US. They give you a USA mailing address, and then forward the packages direct to you and you pay the shipping costs & taxes/duties direct. We have had many satisfied international customers use this service. PLEASE NOTE: Once a package we ship leaves the USA, Rockin' Wellness is no longer responsible for the delivery time-frame, any issues with customs, the condition of the delivered package, lost or misguided packages or any associated fees/taxes/duties. If you decide to use this service, please note you are using at your own risk. Read their fine print disclaimer for further details, customs regulations for your country & additional rules & restrictions.